Normally this is the section where it’s “About Us”. Here at Pet Scoop, it’s all “About YOU”. Rather than go on about “Us” and how long we’ve been providing pooper scooper service in Denver and how great we think we are, we focus on your needs and what’s important to you because YOU are why we are able to do what we DOO. Kind of corny, but we not only believe this to be true, we actually follow through on it. We care about you, your pets and the smallest of details. If you ever have a problem with your pooper scooper service, then we make that our problem. Years ago, we started our pooper scooper business with the intention of being in it for the long term and we have no intention of changing our strategy. 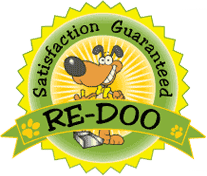 Just take a look at our pooper scooper service RE-DOO Guarantee and you will see what we mean. We want you to be happy with your pooper scooper service – period. So many poop scooper companies promise you the moon and then fail to deliver! At Pet Scoop you have our promise that we will do whatever it takes to keep you happy by exceeding your expectations. Keeping our promises to you is not only good business, it’s the right thing to do. Pet Scoop pooper scooper service guarantees exceptional customer service and going beyond the call of DOOdy! Our RE-DOO Guarantee is our promise to you.